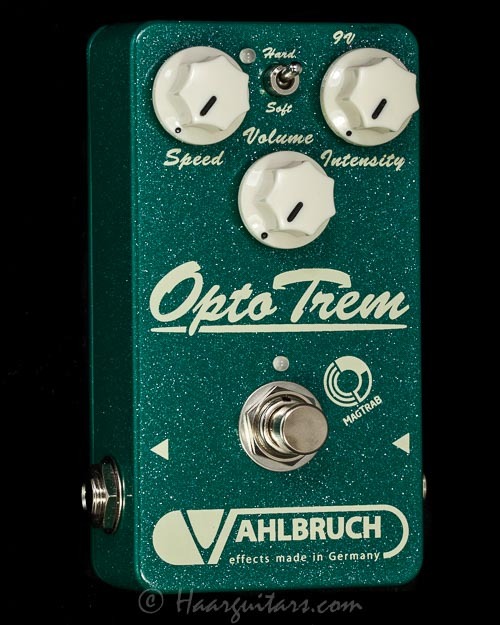 The “OptoTrem” is an analog, hand-build, highly versatile tremolo effect pedal and one of the finest studio quality tremolos in existence. “Opto-Trem” offers you authentic sine-wave 60`s vintage tremolo sounds as well as modern square wave helicopter chop effects. Its unique circuit is carefully designed around a photocell and it shows super low electronic backgroundnoise. 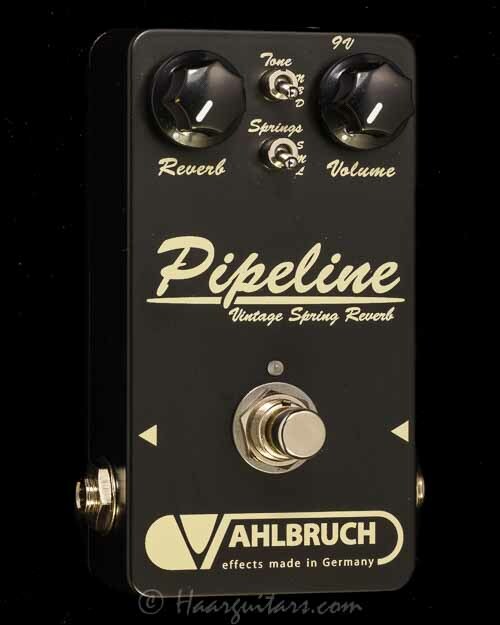 For an especially deep and homogenous modulation curve only handselected photocells are used for the “OptoTrem” and each pedal is hand-trimmed to this specific opto-cell. 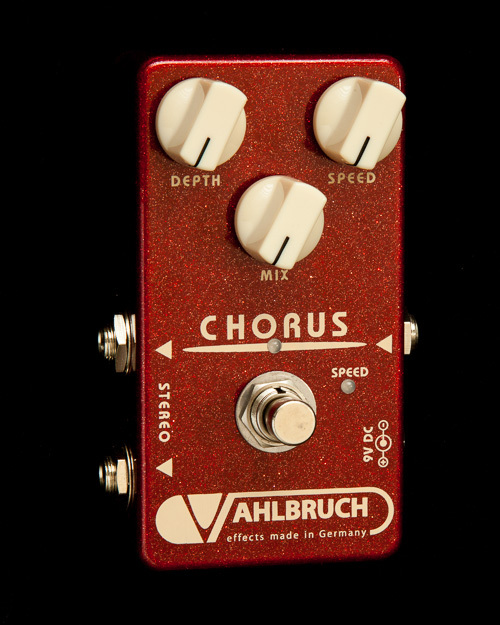 The “Speed” and “Intensity” knobs control modulation rate and depth, a toggle switch allows to select either a “hard” or “soft” modulation curve. 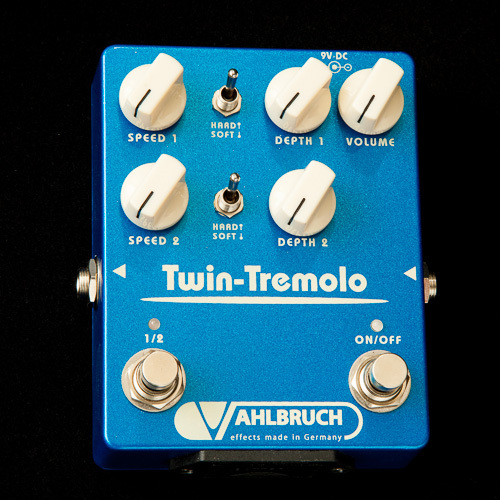 The pedal output level can be adjusted using the “Volume” control. 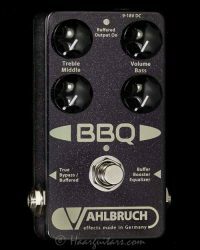 A constantly fashing amber LED indicates your adjusted modulation speed and depth, even when the pedal is in bypass to easily match the song tempo. NOTE: The “OptoTrem” also works as a great clean boost with “Intensity” control turned down!